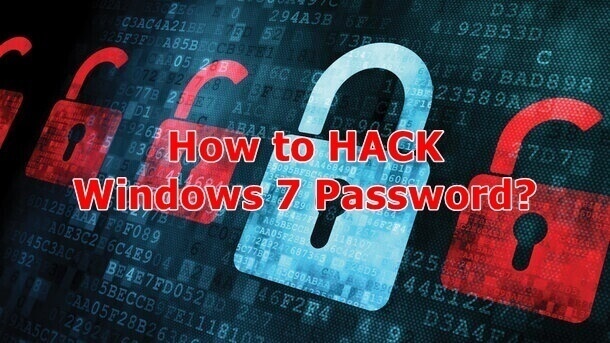 Salaam beautiful peoples, Today we talk about, How to Hack Windows 7 Password when you forgot password? It is not so simple to hack than on Windows XP. If you ever forgot Windows 7 password, you may find that several fruitful Windows password hack replies employed for Windows XP doesn't work for Windows 7 due to its superior security characteristics and you may have to find a new reply for your disregarded Windows 7 password hack. Subscribe to our newsletters for latest updates. How to Hack Windows 7 Password if Forgot? 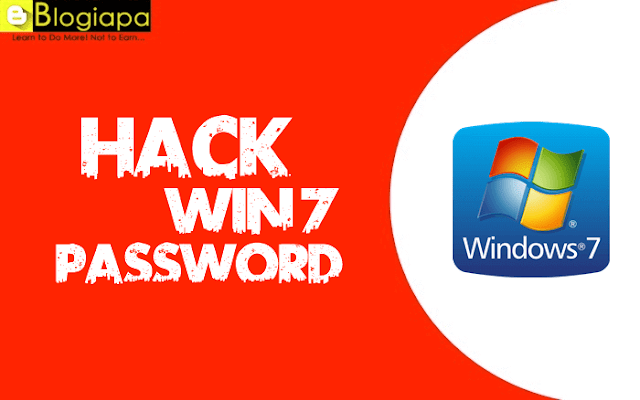 Salaam beautiful peoples, Today we talk about, How to Hack Windows 7 Password when you forgot password? It is not so simple to hack than on Windows XP. If you ever forgot Windows 7 password, you may find that several fruitful Windows password hack replies employed for Windows XP don't work for Windows 7 due to its superior security characteristics and you may have to find a new reply for your disregarded Windows 7 password hack. Subscribe to our newsletters for the latest updates. What you should look like fortuitous is that Windows password hack programs can still work for Windows 7. As a subject of particulars, most Windows 7 users anxious by lost login password break from work vacation resort to this kind of programs like dependable Windows Password Breaker to clarify their annoyances, because of its 100% recovery rate, so simple & looked after the process and instant password hackability. Here we will chat about 3 extensive annoyances you might get concurrently when hacking Windows 7 password. Burn your own Windows 7 password hack bootable computer circular plate with hack tool. Majority of Windows password hack invention like Windows Password Breaker is to give support users hack Windows 7 password in 3 simple steps: Burn a bootable password recovery CD/DVD or USB blink drive; Set locked PC booting rule burned CD/DVD/USB; Start hacking your Windows 7 Password. Today most Windows 7 password hack programs on market are accessible in several versions with a little difference. Users who not ever observe the distinction between each sort may pick an incorrect sort, though there is an evaluation table on its authorized website. Take this hack invention Windows Password Breaker for demonstration, it is accessible in 3 versions: Enterprise, Professional, and Standard. If you wish to hack you're Forgot Windows 7 Password with a bootable CD/DVD, you can pay for Standard version. If you recommend using a USB blink drive for your Windows 7 password hack as you have no CD/DVD drive, the Professional sort is the right one. Please read the merchandise introduction mindfully and get a right sort if there are some editions of your objective Windows 7 password recovery tool. Windows 7 password hack invention demand a director account be installed. If you are well renowned with the computer, you resolutely appreciate that there are 3 varieties of customer anecdotes on Windows 7, surrounding director, yardstick, and guest. And only director users have privileges to download, initiate or uninstall a program, etc. But if you pertain to those who have little computer knowledge, you may not appreciate this. So you may be frightened at why the computer inquires you for director password when you wish to download or initiate your paid for Windows password hack invention and don't appreciate what to supervise next. Once you get concurrently this annoyance, just download and run the password hack invention in the computer that you can run as administrator. When you need and make up your mind to use programs to hack your forgotten Windows 7 password, you did better be cognizant of these overhead annoyances, and your every part of hacking manner would be easier. Final Words: So this was all about How to Hack Windows 7 Password, I hope you have really liked this article. I have tried to conclude every basic info which was needed to hack. If you still face any problem while Forgetting Windows 7 Password or you have any suggestion to give then feel free to comment below. Thank you for visiting I hope you visit us again for more tech and tricks. Subscribe to our newsletter for latest updates.